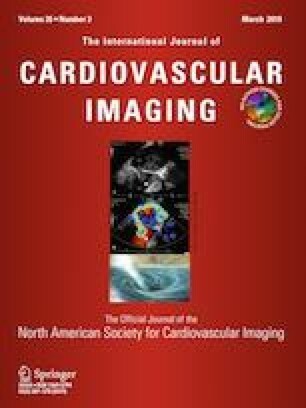 The aim of this study was to evaluate the diagnostic performance of the diastolic retrograde ratio in the descending aorta in patients with aortic regurgitation (AR) by vector flow mapping (VFM). Conventional Doppler echocardiography and VFM were performed in 73 patients with various degrees of AR and 40 controls. AR severity was assessed by an expert using the currently recommended integrative approach, including vena contracta width (VCW), jet width to left ventricular outflow tract (jet width/LVOT) ratio, and effective regurgitant orifice area (EROA). The retrograde ratio, derived as the quotient of backward flow volume (VFb) and forward flow volume (VFf) in the descending aorta, was measured using VFM. The diastolic retrograde ratio was found to increase across groups of subjects with absent (6.1 ± 4.0%), mild (21.3 ± 8.2%), moderate (43.6 ± 9.4%), and severe (70.5 ± 10.5%) AR. Furthermore, in a linear correction model, the retrograde ratio correlated strongly with the VCW (r = 0.930, P < 0.001), jet width/LVOT ratio (r = 0.884, P < 0.001), and EROA (r = 0.927, P < 0.001). In the receiver operating characteristic curve, the retrograde ratio had an area under the curve of 0.958 for a diagnosis of severe AR (SEM: 0.0205, P < 0.0001). A retrograde ratio > 56% indicated severe AR with a sensitivity of 93% and a specificity of 89%, whereas a value > 59% indicated severe AR with a sensitivity of 96% and a specificity of 82%. The retrograde ratio in the descending aorta is useful in identifying AR severity. This accurate and simple quantitative parameter should be incorporated in the comprehensive evaluation of AR. Yuyan Cai and Xin Wei equally contributed to this study. This work was supported by the Science and Technology Pillar Program of Sichuan Province (Grant No. 2012FZ0065).